It’s the newest excitement coming to our area and it’s only an hour from the Beltway. 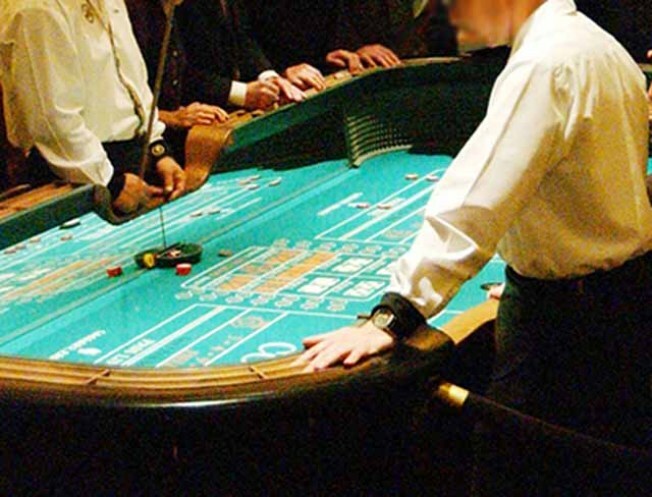 Starting in early July, 12 different table games, including poker, blackjack and craps, will come to the Hollywood Casino at Charles Town Races and Slots in West Virginia. There’s still plenty of work left to be done before opening day, but when it's finished, the casino will be open 24 hours seven days a week. "I don’t play table games because I’m too chicken, but I think it will draw a lot more people," said slots player Debra Fairbanks. With a 1930s Hollywood theme, the new attraction also creates almost 500 jobs, including 400 for dealers. "With the way the economy is now, I guess we end up anywhere they say they’re hiring," said dealer-in-training Tanisha Gates. Like many at the 16-week dealer school, Gates has been out of work for months. In a short period, she and others new to casino work are being taught the ropes. Jamie Ferrell, 24, can’t find work as a graphic designer, so she’s learning to be a craps dealer. Right now, with just slot machines and horse racing, the casino said the majority of their business comes from customers in the D.C. area, but with table games coming, the casino hopes to fill seats with new players who typically make the long trip to Atlantic City. And for people who have never been to a casino? New dealers will make about $45,000 a year, including tips, the casino said.